Crows have often been both glorified and vilified throughout human history. 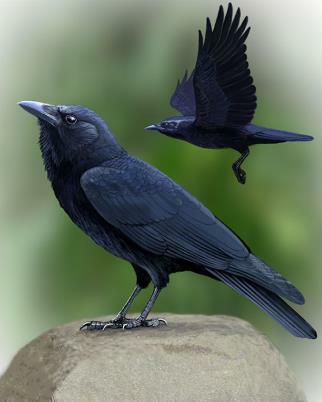 Crow, as a totem, has different meanings to different cultures. Crow is the keeper of all things sacred- universal laws, magical mysteries, and secrets of all kinds. They are fascinating creatures, and to those of us who practice the Craft, they are invaluable messengers, friends, and allies. Crow is a master of illusion. Crow people must walk their walk and talk their talk. Crows are seen as guardians of ceremonial magic, mystery, and healing. 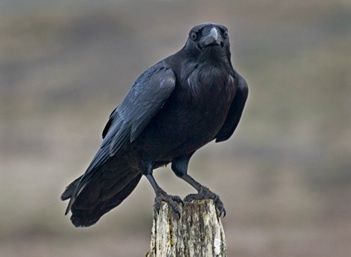 In some cultures, crows are considered bad omens. Witches can relate to this 'bad reputation.' Perhaps that's why crows tend to like us. 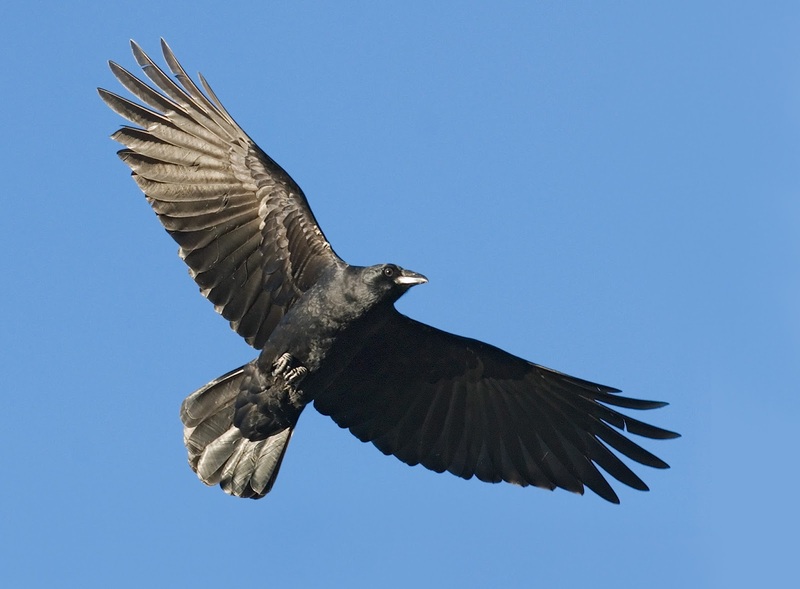 Crows interact differently with different people, which is why there are so many different myths about them. They are the smartest of all birds. They can not only recognize human faces, but will pass that information along to their young- to the 3rd generation down- particularly, if the humans are unkind to them. A human will be marked by crows as good or bad and then it will take at least 3 generations for that human to be given a chance again. If you are a "Morrigan Child" (those who have a connection to the Irish goddess of life, death, war, harvest, etc), crows will be with you through your life for various reasons, as they are her totem. Pay attention to the omens and signs around you. Crow could also be warning you that you are either spreading yourself a bit too thin, or that you need to stop scattering your energy and focus on what you really want to make happen in your life. Crows see the world cross-eyed. This is important, because Crow may be asking you to change your perspective in order to manifest your desires. Look at everything from different angles, and see changes you might need to make to bring you what you want. Remember that Universal Law is not the same as what we think of as "reality". You can bend the laws of physics with your will. 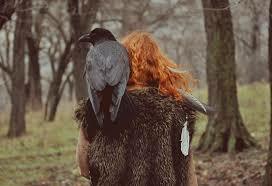 Crow can show you how, if you are willing to be open to his/her teachings. Do you have questions about crows or any other totems? Use the contact form in the right-hand column of this page to ask. I can't imagine my life without them! Crow has helped me so many times throughout my life I often wonder how I got so lucky! Wonderful post! I adore them as well, Angie! Thank you for the comment and your feedback!